Dark Fantasy action adventure game Hellblade: Senua’s Sacrifice will be Available at store on PlayStation 4 for the First Time in December. Indie publisher 505 Games announced it has agreement with developer Ninja Theory to bring a boxed version of Hellblade: Senua’s Sacrifice to global stores on Tuesday, December 4, just in time for Christmas. The game will be sold at participating retailers for £24.99 on PlayStation 4 and Xbox One. 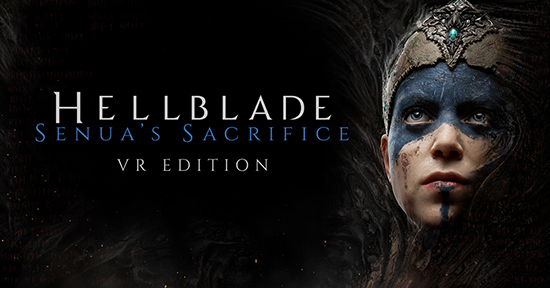 Since its initial launch, Hellblade: Senua’s Sacrifice has taken over a million fans worldwide on a journey with Senua, a Celtic warrior who embarks on a haunting vision quest to save the soul of her dead lover from Viking hell. Created in collaboration with neuroscientists and people who experience psychosis, the game will pull players deep into Senua’s mind. In addition to the PlayStation 4 release by 505 Games, a physical retail version for Xbox One is being distributed by Microsoft.